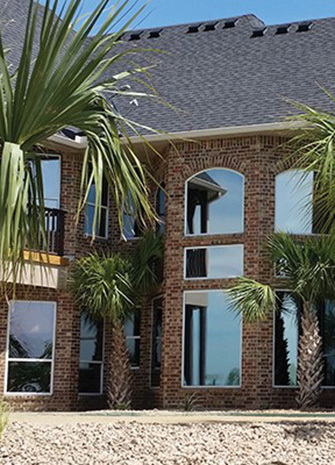 Are you planning a residential window tint project? That is a good step in the right direction. Window tinting your home will benefit you and your family in a number of ways. We will look at how plus the potential disadvantages of this shortly. Tinted windows are less effective at night. When the lights are on, your rooms remain clearly visible from the outside. Window tinting makes your home colder in winter, thanks to the reduction of the amount of sunlight that enters your home. Tinting your windows will make you spend more on energy costs during the cold season simply because it makes your home colder, compelling you to heat it more. Residential window tinting costs money. You have to invest in the right filming for your windows plus find a professional who will do the work. The tints can fade over time. While good quality tints can take years before beginning to show signs of fading and destruction, poor quality tints will merely last months before starting to exhibit these signs. Before kicking off your home window tinting project, it is only natural that you will want to decide on how dark can your window tints be. Unlike vehicle window tints, which different states stipulate cannot be dark beyond certain limits, home window tints can be as dark as you want them to be. There are no regulations regarding how dark they can be. However, the amount of darkness you want for your tinting will depend on the reason for which you want to tint your windows, the amount of reflectivity you desire, the type of glass used in your windows. I am thinking of contacting a particular contractor that does residential window tinting near me. But before doing that, I would like to know whether or not tinting my windows will affect my indoor plants? The answer is: absolutely not. The lack of UV rays does not in anyway affect the natural growth of plants. Plants need blue, red, and far reds light rays for natural growth and these colors are not present in the UV color spectrum, which comes from the sunlight. What else do I need to consider before seeking a home window tinting near me contractor? The type of film you want for your tinting. This is crucial because there are various films available to choose from and even though all films help reduce the heat in a room when the sun comes shining through, each film is designed for a specific purpose. 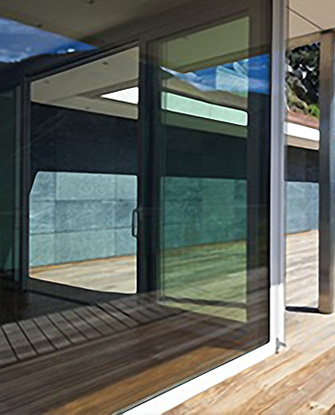 From decorative films and solar films to safety and security films, there is an endless variety of options here. Again, you should pay attention to the purpose for which you want to tint your windows to be able to select the appropriate residential window tint film. How long will it take to install the tinting? Normally, it takes 15-20 minutes to tint a single window. So how long it will take to install the tinting depends on the individual project. The more windows you have for your home that need tinting, the longer it will take to complete the project. How do you clean your windows after the tints have been added henceforth? Do you make them clean by following the same procedures you did previously? Absolutely not because this will damage your film and ruin the tinting in general. Buy the right tinted glass surface cleaner for your windows. In addition, buy a microfiber cleaning cloth. Spray the contents of the window cleaner on your windows. Use the cleaning cloth to wipe off the dirt and grime off the surface of your glass and tint. Rinse the cloth with clean, fresh water. Again wipe your windows gently to remove the stains. Keep rinsing the cloth with clean water, fresh water and wiping until there are no more stains. Make sure to clean on the inside and out, using the same procedure. What will be my home window tinting cost? Again this depends on the project in question i.e the number of windows to be tinted, the type of film to be used and the rates offered by the contractor. However, you can expect to spend between $385 to $655 because that is what most people part with, in window tinting residential homes. To determine this, you need to first understand how long residential window tints can last and the benefits that you can expect to get by having such tints on your windows. If you select a quality product, a reliable contractor and proper care routine, your tints could last up to three decades! In 2016, the average annual electricity consumption per household was 10,766 kilowatt-hours (kWh). 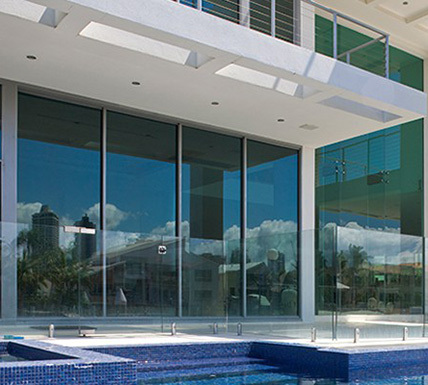 Nevertheless, residential window films offer around 35%-50% in energy savings yearly. That means you can save up to half of that per year with quality tints. The cost of electricity is about 12 cents per kilowatt-hour. When you multiply that rate by 5383 kilowatt-hours in energy savings, you find that you are able to save a whole $645.96 per year. Multiply this by 30 years, which the lifespan of quality tints, and you have a staggering $19378.80. If you spent $655 on your project, your return on investment will be 2589%. Our team comprises competent and experienced professionals who are able to handle all your tinting installation needs. Whether you want to add some tinting to the windows on your home, commercial premises or car, we can handle that without a lot of ease.